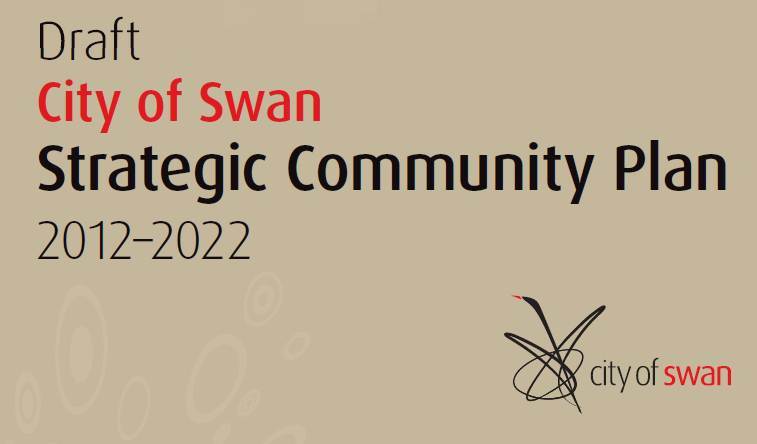 The City of Swan recently released their draft strategic plan (Strategic Community Plan). It outlines the key objectives that will guide the city’s activities for the next 10 years. While there are many good things in the plan, there are also areas where we think the City could aim much higher. The public submissions period just closed and below is the response from the steering group of Transition Town Guildford or here. What do you think? Transition Town Guildford participated in the public development of the City’s Strategic Community Plan (SCP). We are pleased to see the outcome of the process and welcome the opportunity to provide further input at this stage. We were encouraged to see reference to climate change in the SCP. However, the plan seems to lack any clear sense of the urgency or scale of changes required to address climate change. It is widely regarded that the next decade is the critical period for action to give us any hope of avoiding the worst consequences of climate change. Yet there is no reference in the SCP to renewable energy, peak oil or decreasing dependence on fossil fuels. While there is an objective to reduce carbon, waste and greenhouse gases (N1.1), there is no concrete target (for example, striving for the City of Swan to become carbon neutral or zero waste). Specific, measurable and ambitious targets are essential in transitioning to a low-carbon local economy in the near future. The term ‘sustainable’ is used extensively throughout the document, yet it is not defined. For example, what does the City of Swan consider ‘sustainable growth’ to mean? We consider a clear definition of such key terms to be vital to effective implementation of the SCP. There is no connection or acknowledgement of the relationship between business and industry aspirations outlined under Economics, and the environmental ideals listed in Natural Environment. These aspects of the SCP are addressed separately but are in fact intimately intertwined. We believe it is important that this is reflected in the Plan as the economy depends entirely on the health and resources of the natural environment. N1.1.3 This strategy currently states, ‘Preserve and protect air quality’ but there is no mention of soil quality or fertility. This is surprising, given the highly valuable Swan Valley with its rich soils is located within the City. N.2.1.2 Conserve and enhance existing native flora and fauna. We look forward to seeing the final draft of the SCP encompassing community input. We also look forward to supporting the City to implement this Plan over the coming years. This entry was posted in Climate Change, Economics, Energy, Flora & Fauna, Peak Oil, Take Action, Transport, Waste & Recycling and tagged City of Swan, climate change impacts, renewable energy, Transition. Bookmark the permalink. There have been very good points made from TTG Committee. There appears to be separation of written information from the City of Swan’s draft Plan to the community. Clearly if the City accepts the asssistance of the community (most of which is sorted by volunteers) our future would move in a more positive and productive direction if people were able to take ownership in their proactive activities for the good of the people living sustainably in its true sense! There needs to be more flexibility in regards to public involvement to have the right to be included in decision making and stated in wording for people to understand the exact meaning for when addressing local community groups. Cheers to Sustainable Living!! The Council could actively encourage and support community gardening schemes by providing land and a liason officer to assist in setting these up. This would improve community cooperation, cohesion and health. There is a need for better cycle paths in the City, particuarly the Midland area, extending to surrounding suburbs rather than just linking Midland to Perth City. For example it is very difficult to cycle safely from areas south of the rail line to Midland train station. Walk/cycle paths should be set up to link in to the public transport system.